It has definitely arrived here on Vancouver Island. I had Monday off and spent the majority of the day on my balcony in a t-shirt and the all important sunglasses. It was GLORIOUS! I mean, just look at the smile on my face! Spring also means the arrival of new products! Over the past couple of weeks, our suppliers have been paying us a visit to give our sales reps product knowledge sessions. This week, I have overheard a lot of talk about new clothes! So I investigated a little and found this gem of a jacket! 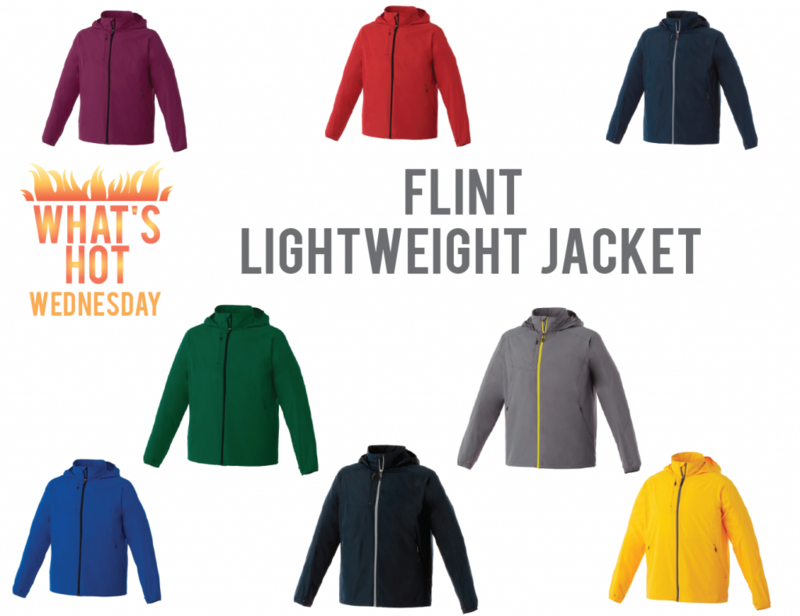 It’s the Flint Lightweight Jacket from our friends at Trimark Sportswear. What I love about this jacket is that it’s perfect for our Vancouver Island spring weather. While it does get warmer, it rains here… um, a lot #ObviousStatement. However, it can be really sunny and then start raining very all of the sudden. So to be prepared is something that we all are familiar with. I find that my current rain jacket is too heavy for our spring weather. 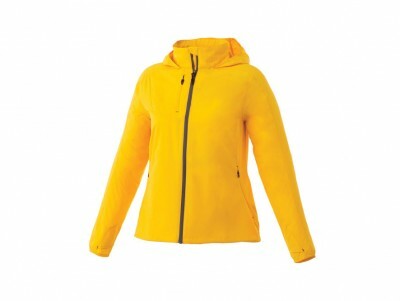 This jacket is lightweight, but has a 600mm water resistant coating and a water repellent finish. It has that interior zipper flap with chin guard so you can do the zipper up all of the way without having it jab you uncomfortably in the chin. It has diminishing relective piping, ergonomic sleeve, elastic drawcord at hem with interior cordlock, a back vent — Need I go on? Not to mention, the ridiculous amount of decorating options you have with this piece. From the type of decoration: Embroidery, Screen Print, Deboss..etc to location of decoration Left chest, back, nape, hood, right hip, shoulder, sleeve…. (pretty much anywhere) You can customize this piece to truly represent your brand! Does this jacket have a more fitted shape for ladies? The women’s style does have a more fitted shape. If you’d like any more information, please do not hesitate to send us an e-mail: sales@islandprintgroup.com. 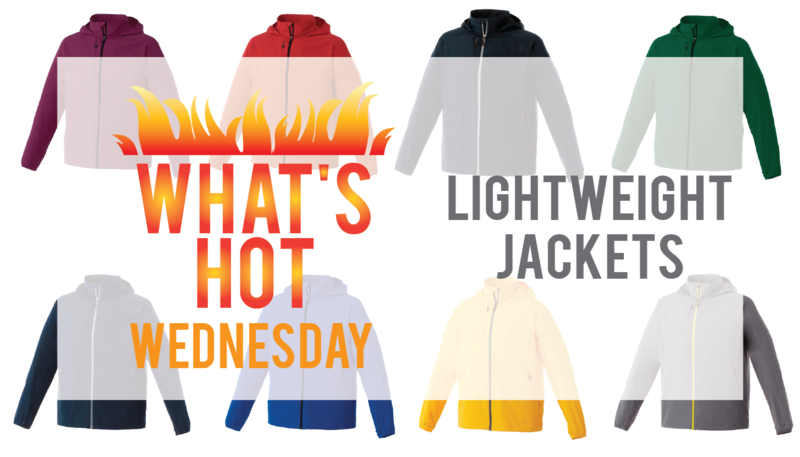 your post is awesome and hot jackets is amazing.